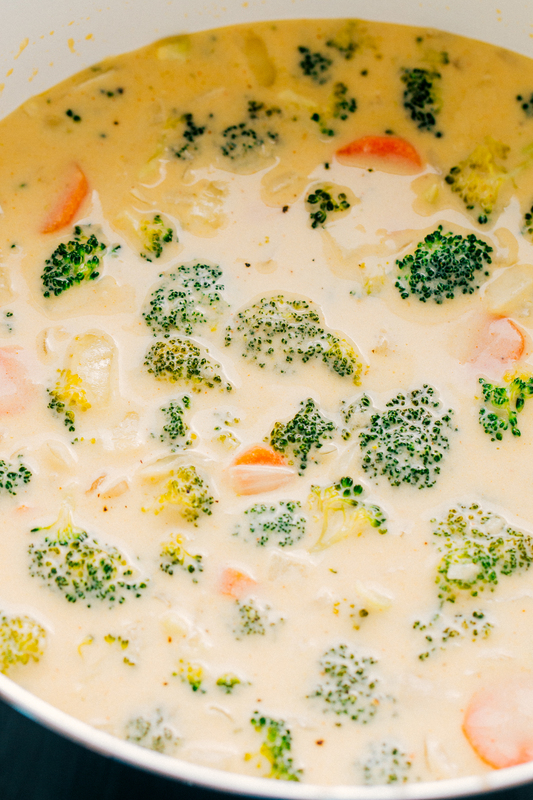 The Best Broccoli Cheese Soup is a little bit of creamy heaven. 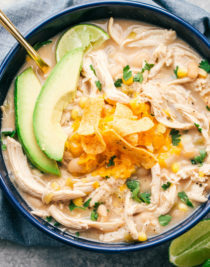 This cheesy and flavorful soup will warm your soul and ignite your tastebuds. Every bite is full of cheesy goodness and delicious for any cozy night at home. The Best Broccoli Cheese Soup is one of the creamiest and cheesiest soups ever. 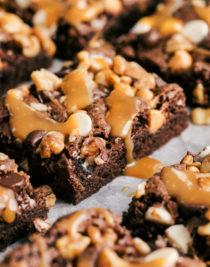 It is so rich and bold with flavor every bite is even better than the first. 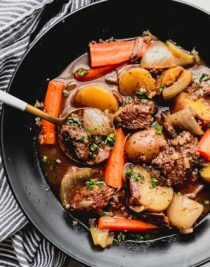 Soup is one of the greatest go to meals for your family and although there is broccoli in this recipe your kids will love it. The broccoli almost goes unnoticed due to the delicious cheesy bold flavor. Everyday is a good day for The Best Broccoli Cheese Soup and goes perfect in a warm sourdough bread bowl. 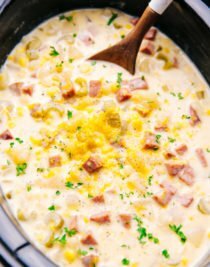 So the next time you are looking for something extra amazing, this is The Best Broccoli Cheese Soup for you and your family to enjoy. 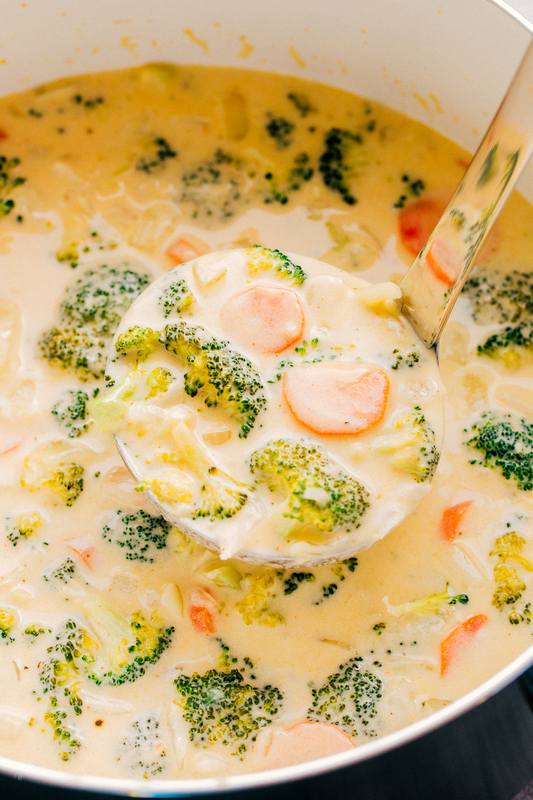 How do you make broccoli and cheese soup? In a small sauce pan over medium heat, melt 1 tablespoon butter and saute onions until translucent, about 4 minutes. Add the garlic and continue to saute an additional minute, stirring constantly. Remove pan from heat and set aside. 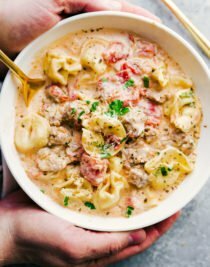 In a large stock pot over medium heat add 4 tablespoons of butter and 1/4 cup of flour, stirring constantly until thickened, 2-3 minutes. Slowly add in the chicken stock and half and half whisking constantly. 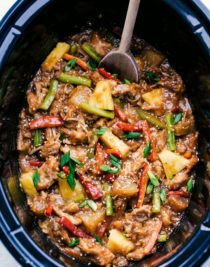 Reduce heat and allow mixture to simmer on low for 20 minutes. Mixture will start to thicken a little. 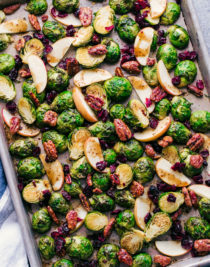 Once mixture has simmered add chopped carrots, broccoli, sauted onions and garlic, garlic salt, cayenne pepper, dry mustard, and paprika and stir to combined. Allow to simmer 20 more minutes for additional thickening and then add in 8 oz of freshly grated extra sharp cheddar cheese. Stir until cheese has all melted and serve! You can garnish with more shredded cheese and broccoli (optional). 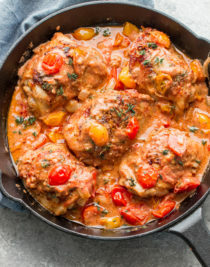 Looking for more delicious creamy recipe ideas, try Creamy garlic tomato shrimp pasta or Creamy Garlic Mushroom and Parmesan Chicken Skillet both will be quick family favorites. 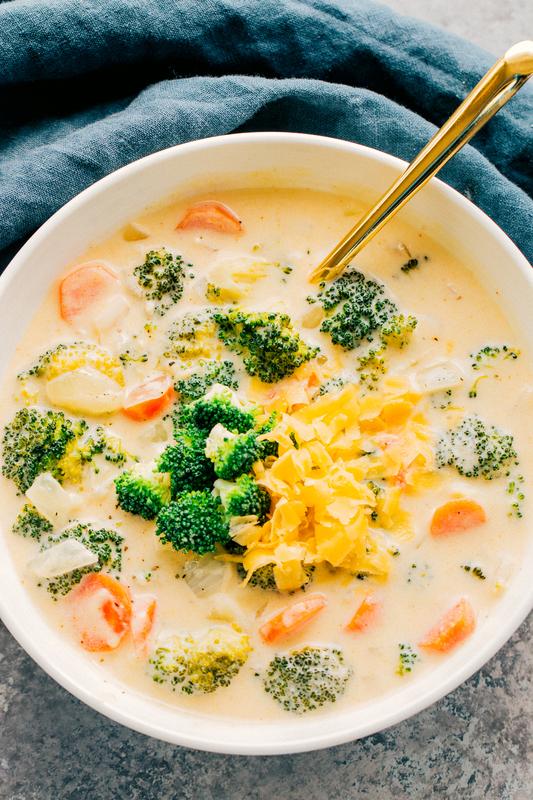 The Best Broccoli Cheese Soup that is so creamy and full of flavor you will love it at first bite. 8 ounces grated extra-sharp cheddar cheese, reserve a small amount of garnishing (optional).